The property is three levels with four separate fully self contained units. Level 1 is the top level. There are three rooms available, however, only two rooms are currently rented. These are known as room 1a and 1b. The large covered deck is approximately 70 sqm in size. Level 2 is the middle/ground level. The rooms all have their own ensuite directly attached. They are known as rooms 2a, 2b, 2c and 2d. The deck on this level is approximately 37 sqm in size. Level 3/Basement level. Two separate fully self contained units. Unit 3a is a large one bedroom unit and Unit 3b is a two bedroom unit. There is a courtyard for these levels. Property furniture fit out: There's potential the new owner can apply for student accommodation that subject to council approval. 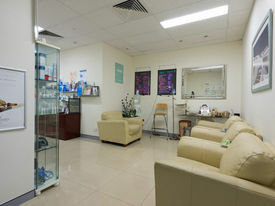 Location: Opposite to cafe and neighbor centre 8 mins drive to Princess Alexandra Hospital 6 mins drive to Greenslopes Private Hospital 9 mins drive to Griffith University Mount Gravatt Each bedroom and unit are fully furnished as follows: 1a queen sized bed, built ins, ensuite, desk, airconditioned. 1b queen sized bed, desk, built ins, separate large bathroom (shower/bath combo), desk, airconditioned. 1c spare room, built ins, spiral stair case connects with a separate office downstairs that fronts the property. In the photos, you will see two large double full height doors. This is an office with a reception and separate office. Large kitchen, microwave, fridge, lounge, dining table, washing machine, drier, TV, deck furniture, all crockery and cutlery. 2a double bed, cupboards, ensuite, desk, airconditioned. 2b queen bed, built ins, ensuite, desk, airconditioned. 2c queen bed, built ins, ensuite, cupboards, desk, air conditioned. 2d queen bed, cupboards, ensuite, desk, air conditioned. 2O office, desk, airconditioned, reception desk. Large kitchen, microwave, three(3) fridge, lounge, dining table, washing machine, TV, drier, deck furniture, all crockery and cutlery. 3a queen bed, built in robe, own bathroom (shower), large galley kitchen, dishwasher, fridge, lounge, dining table, air conditioned. Tenant has provided own crockery and cutlery. There is crockery and cutlery spare for this unit. 3b Queen bed, single bed, built ins, own bathroom(shower), large kitchen, fridge, lounge, dining table, airconditioned. Tenant has provided cutlery and crockery; however, owner retains crockery and cutlery spare for this unit. Price: Contact agent Inspection: By appointment Address: Cavendish Road Coorparoo QLD 4151 Contact: Conan Li 0404 617 767/07 3373 9887 Email: conan.li@yong.com.au Disclaimer: We have in preparing this information used our best endeavours to ensure that the information contained herein is true and accurate, but accept no responsibility and disclaim all liability in respect of any errors, omissions, inaccuracies or misstatements that may occur. Prospective purchasers should make their own enquiries to verify the information contained herein. Rare Big Medium Density Land With 33m Frontage + House & Granny Flat In Rezoning Area ! For Sale (7175m2 MDR Land..
RARE Big Medium Density Block in Rezoning area with 33m Frontage + Granny Flat. REZONING MEDIUM DENSITY BIG BLOCK (7175M2). 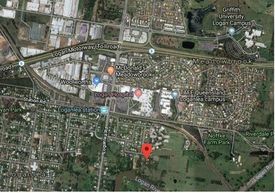 GREAT POTENTIAL, close to Loganlea Railway Station, shops, Logan Hospital and Griffith University. Some key features are as follows: Rare Big Medium Density Flat block 7175m2 in Rezoning area. With 33.6 meter frontage ! Medium Density zoning, can build townhouses, up to 8.7 meter high. With 200 sqm SHOP space in the front, subject to City Council approval. Walking distance to Loganlea Railway Station, one major stop for Brisbane / Gold Coast Express Train. Walking distance to Logan Hospital, TAFE and Public High School. Short drive to Griffith University Near Logan Moterway, M1 and M6 A fully self contained granny flat with rental income of $270/wk The main house can be rented for $400/wk. So around $670/wk in total. Main bedroom with ensuite, bedrooms with wardrobes Open living area off kitchen Separate lounge room, Internal laundry Plenty of cupboards throughout Huge covered outdoor entertaining area Ceiling fans throughout Security screens to windows and doors Please Contact Agent for details: Justin 0400 335572, justin.cheng@yong.com.au All information contained herein is gathered from sources we consider to be reliable. However we cannot guarantee or give any warranty about the information provided and interested parties must solely rely on their own enquiries. The listing of this tenanted investment property must be seen as an extremely rare opportunity to secure one of Australia's best childcare centres. The tenants have invested in a substantial world class fit out, and as such they have turned an extremely well constructed commercial building into a licensed facility for a 96 place professional childcare service. 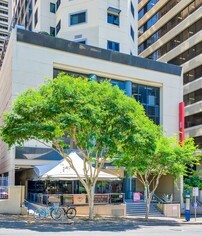 Rental $287,000 pa + GST Includes Telstra phone tower sublease All out goings are paid by the tenant. 15 year lease commenced 28th August 2017 4 x 5 year options Annual rent reviews are 2.5% or CPI whichever is higher 96 Place childcare centre Business opened 12 Sept 2018 Extremely secure business position with 70,000 + cars driving past each day Prime position provides direct marketing to secure the tenant ..... and future returns Market reviews at option long day care centre Personal directors guarantees Bank guarantee For more information contact us at Australian Childcare Brokers. 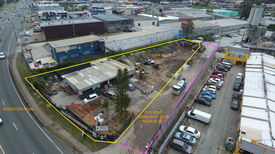 24 800 SQM land opportunity, zoned for Industrial use Located next to Coates Hire Head Office in a growing Industrial Precinct 70 metre wide road frontage x 351 metre length Allowable uses include: Manufacture, Distribution, Recycling, Transport Depot, Educational Establishment and more Opportunity for owner occupiers or developers to sub divide Located within minutes of the Logan Motorway and Pacific Highway Approximately 24 minutes to Brisbane and 42 minutes to Gold Coast Close to Logan Hospital, New Woolworths Shopping Centre and Loganlea Train Station https://youtu.be/ElsGF3RzGrg Approximate If Applicable For more information please contact the Exclusive Agent Brian Manne. Ray White Commercial North Coast Central is pleased to offer 75 Cotterill Avenue, Bongaree for sale. 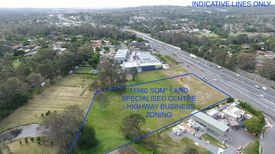 100% Tenanted 2x Free Standing Buildings on 1,033m2 High Exposure Location, Corner of Cotterill Avenue Goodwin Drive Income $90,000 P/A Anchored by National Tenant Red Rooster and features busy Bribie Thai Food On Site Parking For more information or to arrange an on site inspection please contact Chris Massie or Aaron Canavan. Designated Emerging Community Potential development options include townhouses and house and land, retirement / aged care (^STCA) 12km north of Brisbane CBD Two street access with 99m frontage to Keona Rd and separate access via Lyell Crescent 1km to Flockton Street business precinct which includes North West Private Hospital, Medical Centre, Woolworths speciality shops, Everton Park Hotel, Child Care, Northside Christian College Easy access to arterial road connections including Old Northern Rd (260m ), Rode Rd (1km ), Gympie Rd (5km ) Expressions of Interest Closing Wednesday, 30 August 2017 4pm Tony Williams 0411 822 544 Mark Creevey 0408 992 222 approximately This property is being sold by Expressions of Interest therefore a price guide cannot be provided. The website may have filtered the property into a price bracket for website functionality purposes.